Don’t wait for the spring flowers to come - add them to your shopping cart today and bring them wherever you go with our stunning Naomi Dress. 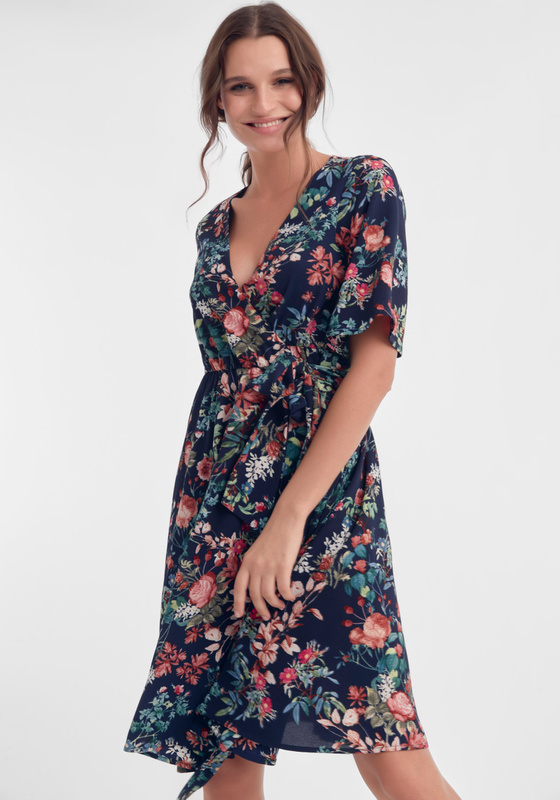 A wrap dress with a flower pattern on a darker navy tone. Relaxed style with adjustable tie bands at waist for a figurative fit. A slim upper part and a wider skirt that forms flowy gatherings below. Relaxed short sleeves. This dress is a returning classic but in the fresh Anemone print new for this spring. See also, Ada Jumpsuit and Aria Dress with the same print. The material is composed of 100% polyester and can handle machine wash. 100% full body lining. True to size.